Born: 7 February 1873, St Martin's, Perthshire, Scotland. Died: 7 November 1937, Cape Town, South Africa. Andrew Young, geologist, was the eldest son of Andrew Young and his wife Lilias Burns, and brother of the geologist Robert B. Young*. He received his schooling at the Perth Academy and then studied education at the Church of Scotland Normal Training College in Edinburgh. In October 1891 he entered the University of Edinburgh, which awarded him the degree Master of Arts (MA) in 1895. For some time he was a temporary lecturer in geology at Heriot Watt College, Edinburgh. Later he continued his studies, obtaining the degree Bachelor of Science (BSc), with distinction, at the University of Edinburgh in 1901. That year he was employed to organise technical classes in the Forest of Dean, as a member of the Technical Education Commission for Gloucestershire, England, and lectured in science at the nearby Lydney Institute. He was elected a Fellow of the Chemical Society (FCS) and a Fellow of the Geological Society of London (FGS). In 1902 Young was appointed professor of geology and mineralogy at the South African College, Cape Town, succeeding Professor G.S. Corstorphine*. He arrived for duty in July. That same year the University of the Cape of Good Hope (the only university in southern Africa at the time) admitted him to its MA degree on the basis of his Scotish qualifications. Young was a genial person who was soon at home among his colleagues, several of whom came from Scotland. He had a whole range of geological interests and was an excellent lecturer who was genuinly interested in his students. A widely known and beloved person, he came to be known as "merry Andrew" because of his fluency and humour. During vacations he took his students on field trips into the interior of the Western Cape and the southern Karoo. In May 1903 he became seriously ill and was on sick leave for six months, during which his brother Robert took over his classes. In 1911 Mr A.R.E. ("Whistler") Walker* joined his department. They were still the only two members of staff of the department when the South African College became the University of Cape Town in 1918, and remained so until Young's death from leukaemia in 1937. From 1932 to 1936 he served as dean of the faculty of science. On 27 December 1905 he married Elizabeth P. Hamilton, with whom he had two daughters. Both daughters died at a young age and their mother did not survive them for long. Young was not an active researcher. However, during 1905 he started observations of fluctuations in the flow of an artesian borehole on the farm Tarka Bridge, near Cradock. He found that the flow of the borehole was affected by tides, a phenomenon not previously studied. His preliminary results were presented at the joint meeting of the British and South African Associations for the Advancement of Science in 1905 and his paper, "A subterranean tide in the Karroo", was included in the Adresses and papers... published after the meeting (Vol. 2, pp. 144-151). The work was continued intermittently to 1913 and formed the basis of an extensive paper, "Tidal phenomena at inland boreholes near Cradock", published in the Transactions of the Royal Society of South Africa (1913, Vol. 3, pp. 61-112). The next year Young was awarded the degree Doctor of Science (DSc) by the University of Edinburgh (in absentia) for a thesis on this work. As a result the University of the Cape of Good Hope admitted him to its DSc degree in 1915. In 1918 he delivered a paper before the Royal Society of South Africa on "Fusion of Karroo grits in contact with dolerite intrusions in the Heilbron district". Later he described "The Inyaminga structure", an anticline in the Cretaceous deposits north of Beira, Mozambique, in the Mining and Industrial Magazine (1927). He attended the Fifteenth International Geological Congress in Pretoria in 1929, for which he wrote a guide to an excursion to Chapman's Peak. The next year he travelled to North Africa and France, during which he examined phosphate deposits in Algeria and the bauxite deposits at Les Baux, France, and attended the centenary congress of the Soci?t? G?ologique de France in Paris. 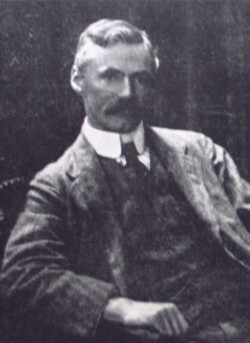 Young became a member of the Geological Society of South Africa in 1907. In the year of his arrival in the Cape Colony (1902) he joined the South African Philosophical Society, remaining a member when it became the Royal Society of South Africa in 1908. He was elected a Fellow of the latter in 1918, and served on its council during 1920-1921 and 1924. By 1903 he was a member of the South African Association for the Advancement of Science, but his membership lapsed at some time between 1906 and 1910. In 1905 he became a member also of the British Association for the Advancement of Science. Fuller, A.G. University of Cape Town. In C.R. Anhaeusser (ed. ), A century of geological endeavour in southern Africa, 1895-1995 (pp. 181-190). Johannesburg: Geological Society of South Africa, 1997. Hall, A.L. A bibliography of South African geology.... Pretoria: Geological Survey, Memoirs No. 18 (1922) and 27 (1931). Professor Andrew Young, MA, DSc. Transactions of the Royal Society of South Africa, 1942, Vol. 29, p. xxv. Professor Andrew Young, MA, DSc (Edin), 1873-1937. South African Journal of Science, 1938, Vol. 35, p. xix. Royal Society of South Africa. Transactions, 1908-1925, Vol. 1, 3, 6 and 12.